APPLETON, N.Y. -- On Sunday, July 1, AM Lockport Toastmasters will recognize Martin Johnston for earning his Distinguished Toastmaster. That is the highest rank possible in the organization. The celebration will take place at 2 PM at The Winery At Marjim Manor. Current and Past members of the club are invited to attend. 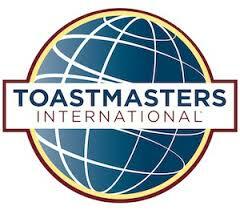 AM Lockport Toastmasters meets every Thursday morning at7 AM in Tom's Diner on Main Street. Meetings follow a similar format with a Toastmaster conducting the meeting and members filling various listening and speaking roles. In addition to prepared speeches, members may listen to the ahs and ums, keep time for the speeches or do extemporaneous speaking. Guests are always welcome.